In this chapter, you will learn about the hierarchy of Ruby built-in classes, Class, Object and Module. In the previous chapter we experimented with user defined classes. We learned that user defined classes implicitly extend from Object. The Ruby&apos;s built-in Class itself is an object. We can find out the class used to make instances of Class. 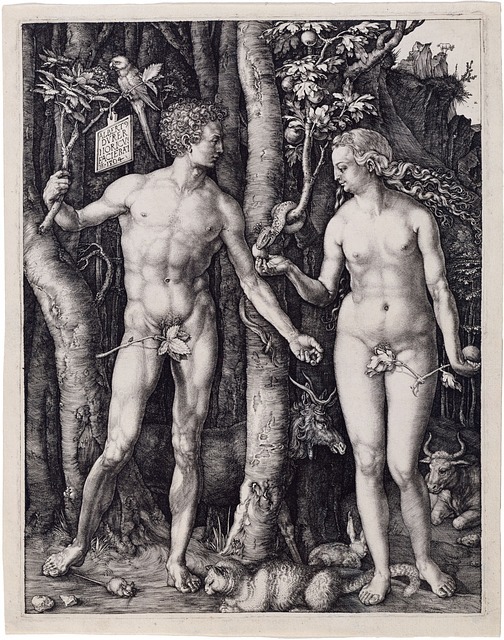 This seems to be like the chicken and egg problem. How is Class created from Class? But Ruby is consistent. Whenever you use the language construct class to create a Class, Ruby uses Class to create instances. The class can be either user defined or the existing Ruby&apos;s built-in classes. 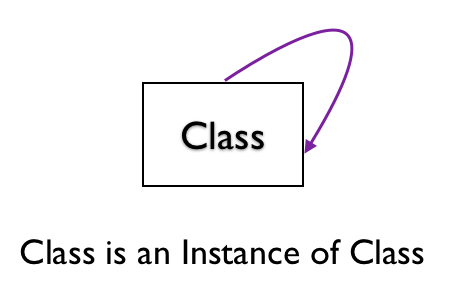 In the previous chapter, we saw that Object was the super-class of any user defined class. 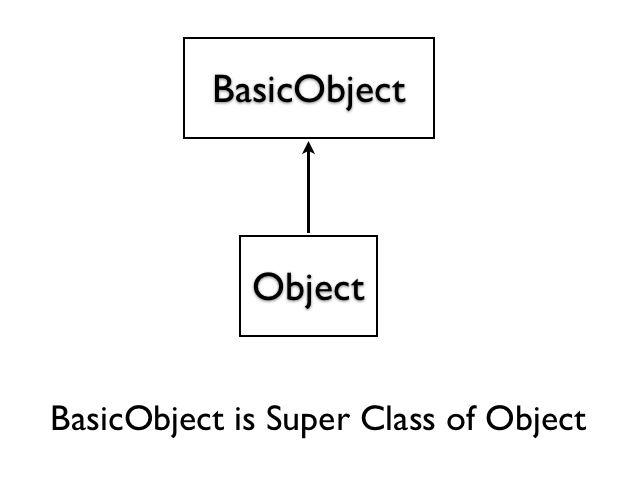 What is the super-class of Object? What is the super-class of BasicObject? This means BasicObject is the root of the hierarchy. It does not have a parent. What is the super-class of Class? Here is the visual summary of what we have learned so far. 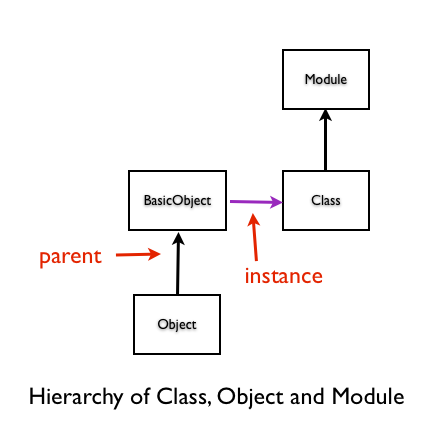 The class Module is an object. What class is it an instance of? Why is Module a Class? Can we create an instance of Module class? Yes, we will see that next. How to Create a Module Instance? Why would you want to create a module the second way? The short answer is blocks are closures. We have access to the variables before the do-end block. Let&apos;s now compare the methods in Module, Class and Object. Here are the methods in Module. Here are the methods in Class. Here are the methods in Object. You can see we can create instances of Module, Class and Object. Because they have the method new(). You can also notice that class and module have the same set of public methods. Why would you want to create a class the second way? In this chapter you learned the Ruby&apos;s built-in inheritance hierarchy. 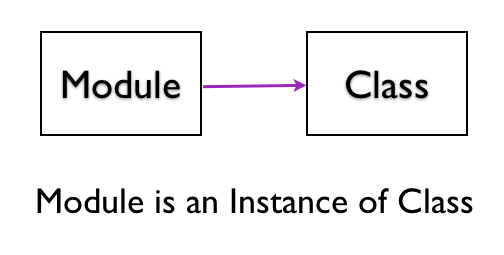 This consists of Class, Object, Module and BasicObject. You also saw how we can create modules and classes by creating them on the fly and adding methods to it.